The French government released a historic 31-page document on Saturday with sweeping climate change reforms aiming to curtail global warming and its damaging effects. 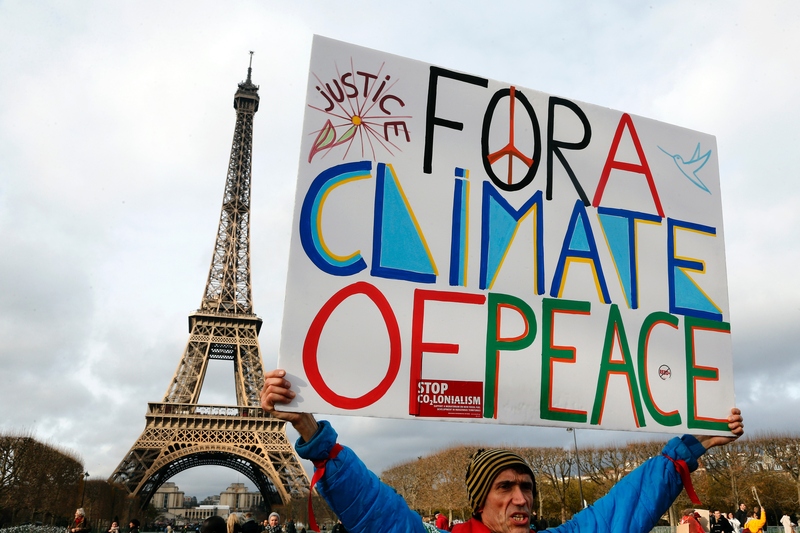 Nearly 200 countries approved the Paris Agreement to combat global warming, which French Foreign Minister Laurent Fabius called an "ambitious" plan and "historical turning point" for the global environment. To paraphrase U.S. Vice President Joe Biden, the Paris Climate Agreement is a BFD. But like any climate change conversation, it has a whole batch of deniers — which means a whole lot of Twitter trolls. According to The New York Times, the Paris Agreement includes provisions on how nations can keep the global temperature increase to a minimum, preserve forestation, and curb dangerous levels of fossil-fuel emissions. The agreement essentially serves as a legal contract for these 196 nations, requiring them to make environmental contributions and report back every five years. We cannot afford to be slowed by the climate skeptics or deterred by the defeatists who doubt America’s ability to meet this challenge. That’s why as President, I will make combating climate change a top priority from day one, and secure America’s future as the clean energy superpower of the 21st century. When announcing the historic agreement, Fabius said it has the potential to avert an environmental disaster for generations to come. "The citizens of the world — our own citizens — and our children would not understand it. Nor, I believe, would they forgive us," the French foreign minister said. But while many, including President Obama and former Vice President Al Gore, are celebrating the Paris Agreement, there are those reluctant to admit that climate change exists — and that it must be dealt with. On Saturday, the #ParisAgreement hashtag on Twitter became clogged with trolls, particularly of the American right-wing, anti-Obama, liberal-bashing kind. Trolls gonna troll, I guess.